Every once in a while someone in the advertizing field comes up with something pretty clever. Grab a cup-o-tea and turn the volume up a bit for this one. It just kind of makes you feel good. ORMUS based Rejuvelac – it works! Turns out that it’s not as hard as it first appears to make Rejuvelac! Mainly just takes time for there is very little work involved. And the taste, well, it’s not bad! It definitely doesn’t have the impact on me as the Kefir Apple juice has on Natasha from Raw Radiant Health! It’s pleasantly yeasty, with a little tang. This is something that’s actually doable! 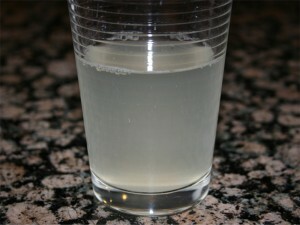 Notice the light white color and the bubbles at the top. When this is brewing, you can see the motion in the water. When you touch the container, the bubbles all kick loose and rise to the top. My second batch looks to have a bit of a darker color to it. I followed the common sprouting instructions for the wheat. That entails soaking the wheat for 8 or so hours, rinsing and letting sprout for another 48. I’ve got a standard quart size mason jar with a sprouting lid that works just fine. (I’ve got a picture of the sprouting jar here.) Then, after rinsing them a last time, I poured the seeds; roots, stems and seeds into a two quart jar for brewing. Using an eyedropper, I measured about 3 tablespoons wet ORMUS onto the wheat and then covered with distilled water. I believe the last time I tried to do this I used regular tap water – which most likely was the reason for the bad tasting finished product. You basically want to make sure you don’t kill the wild yeasts on the wheat by overdoing any chlorine. Once the jar was full, I lightly placed the lid on and set it on top of the fridge to brew. When I felt like it, I gently turned the bottle to mix up the water just a little. After brewing for 48 hours or so, I stirred lightly and poured most of the water into the serving container that I could store in the fridge. I purposely left some ORMUS that settled on the bottom and some extra fluid to turbo-charge the second brewing. I figure that shouldn’t take but 24 hours. One of the better descriptions that I found for brewing can be found on the Superfoods~for~Superhealth website in their Rejuvelac Recipe page. The only thing that I did differently is that I didn’t blend it before hand. That just seemed like too much work for this simple drink. And, because it has ORMUS in it, I really wanted to see how it would be absorbed by the micro organisms. I wish I’d taken a picture of the mixture an hour or so after I set it up to brew. The ORMUS that was in suspension settled out on the top layer of wheat giving it a ghostly – snowy look. As the yeast went to work, the ORMUS thinned out and nearly disappeared. A small layer ended up on the bottom of the jar, but I’d guess the rest went into solution – which is exactly what I set out to do. Now comes the second half of the experiment – the consuming of the tonic! So far, it’s not bad. Actually, it’s pretty good. In a couple weeks I’ll update the story, but for now, it seems to agree with me. Oh, as a side note, the probiotics that I’ve been taking, well, I set out to test them. I found that, because they are yeasts (just like Rejuvelac) they will grow in a sugar water mixture. Well, that is, if you have a good – living – probiotic! At the same time that I started the Rejuvelac, I also mixed up some sugar water and placed the contents of a probiotic capsle in it. The Rejuvelac is done, and I can’t see any growth what so ever with the probiotic starter! What really makes me feel bad is that I spent 33 bucks on that jar and I know it’s all just simply dead. Looks like I’ll have to try to get my money back. Hope you find the motivation to start and make your own Rejuvelac! Oh, a thought just came to me! I’ve been meaning to make some raw seed cheese, well, I know have the rejuvelac that I can use as a starter. Looks like I’m going to have something else to do this next weekend! Well, it’s because I’ve watched this video from Natasha from Raw Radiant Health. It’s actually a pretty nice spin on the water version for she uses the juice of apples. It all looks great until you get to the 5:40 mark in this video. The look in her face when she smells it – Oh – it seems the truth radiates out! Lol. I won’t let that deter me! I’m putting Kifer on my shopping list. Maybe in a few days, I’ll be drinking a fresh juice ORMUS kefir tea! We shall see, and I guarantee that I won’t make a video out of it! This is going to be my next experiment. Basically, since we’ve learned that minerials need to be wrapped in organic compounds in order to for it to be bioavailable to plants and humans, I figured I should be able to brew up some ‘ORMUS tea’ using the help of some single cell organisms. Ann Wigmore was big on Rejuvelac, but I don’t think she knew about ORMUS. Rejuvelac is a general term for a fermented liquid used to improve digestion of food. Rejuvelac is prepared using whole wheat, rye, quinoa, oats, barley, millet, buckwheat, rice and other types of grain. Best results have been found using wheat, rye, and quinoa. Rejuvelac can be consumed as a digestive aid and used as a ‘starter’ for other fermented foods such as raw nut and seed sauces, cheeses, and Essene Breads. Rejuvelac contains eight of the B vitamins, vitamins E and K, and a variety of proteins, dextrines, carbohydrates, phosphates and amylases. It is rich in enzymes that assist in digestion. During the fermentation lactic acid is also being produced. 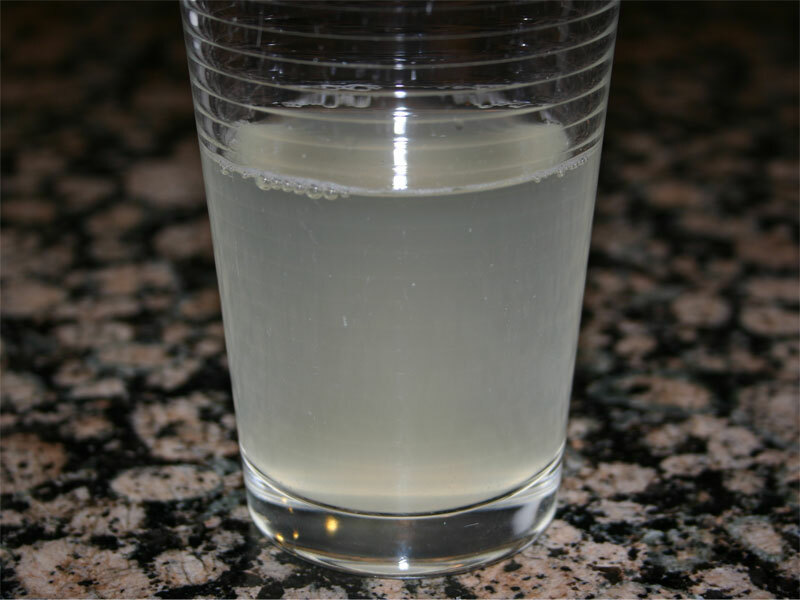 Rejuvelac is a raw food made by sprouting a grain and then soaking the sprouted grain in water for about two days at room temperature and then drinking the liquid. A second batch can be made from the same sprouts, this time requiring only about one day. A third batch is possible but the flavor may be disagreeable. Instructions for making it can be found on eHow Health. I wonder how this will taste! Lol. Oh, here’s a video about making Rejuvelac.